During the ReNEW show, we will be creating woodblock prints right in the gallery. In addition, we are doing some really different mounting techniques. 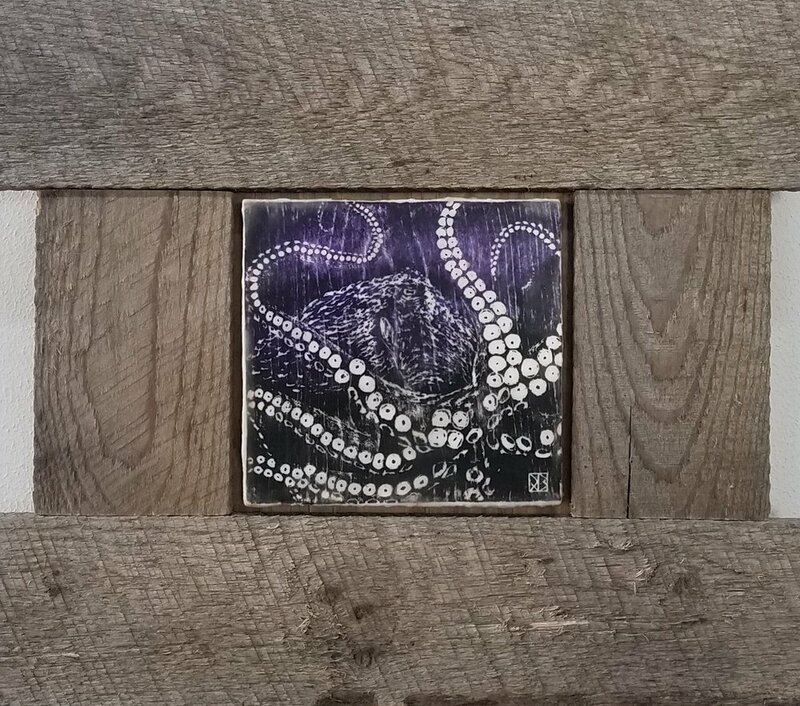 INstead of the glass and frame, the prints are mounted to upcycled wood panels, sealed in Encaustic, and framed in found/upcycled woods. Different limited print runs will be printed live at any given time through the show including the Pacific Red Octopus, Moon Jellies, and Seahorses in the Coral.